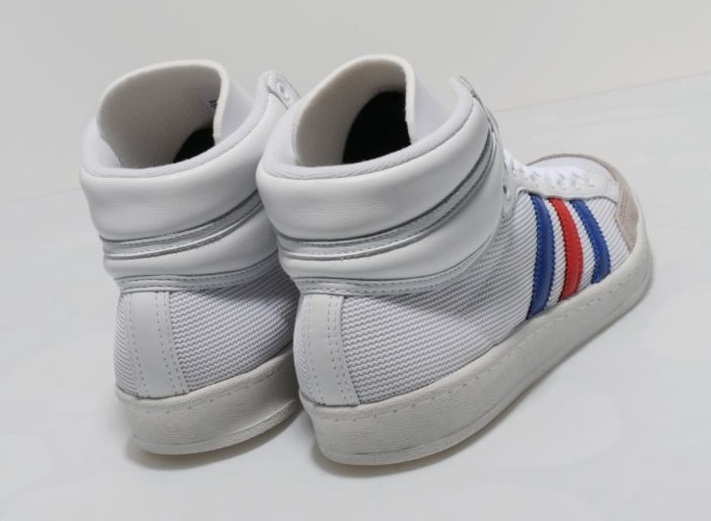 From adidas Originals comes this Americana Hi 88, presented with a breathable white mesh upper with tonal leather paneling to the ankle. 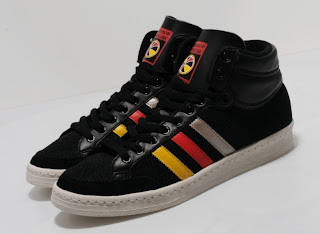 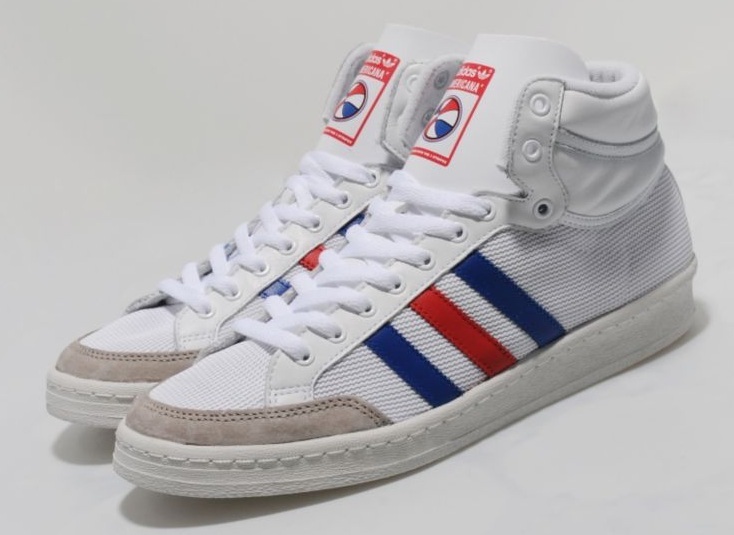 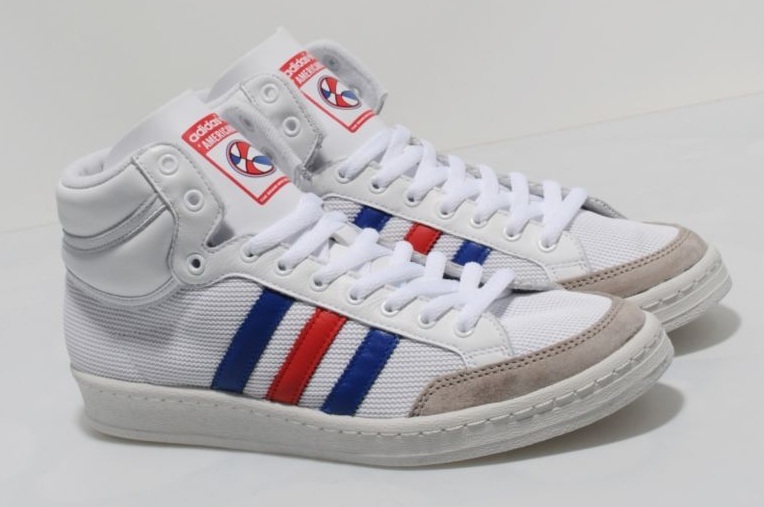 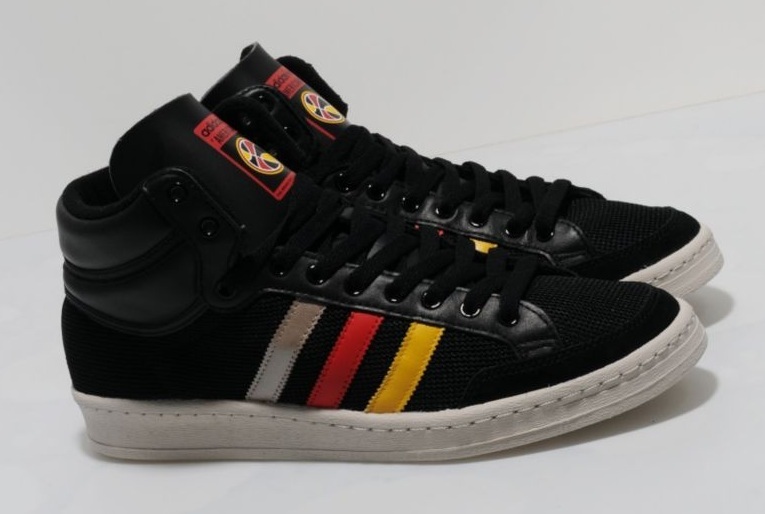 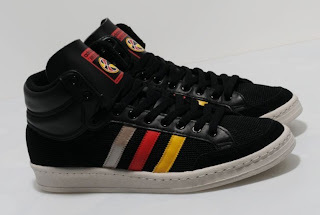 It features three stripe branding on the side in red and blue, a taupe suede guard around the toe, metallic eyelets, a thin branded tongue and textures white cupsole unit. 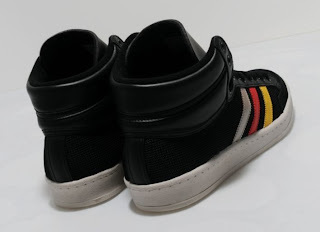 This trainer comes with a soft fleece lining and flat woven laces.